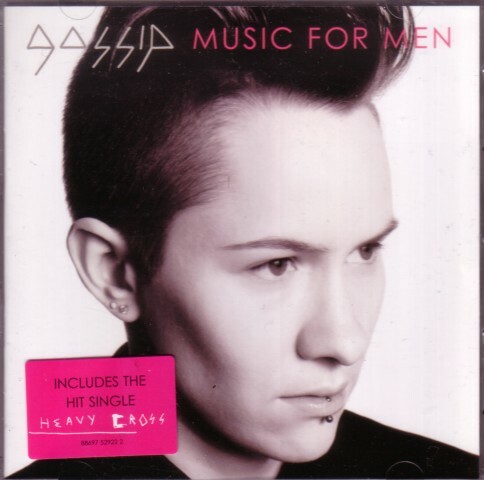 I just got the Gossip CD, “Music for men” ,that I ordered online. To my surprise the logo on the CD is the same as what I have seen in some of their videos. It is a typical punk logo: the idea is nice, but the work out is clumsy. That is perfect for a punkband, and I am happy to see that they kept their logo while they are now a pretty successful band. But I couldn’t resist re-making it for a CDr that I made for myself with some live-recordings of the band, that are only to be found on YouTube. I heard from two people that they don’t really like my drawings, because I supposedly make the people ugly. Is that so? It is the opposite of what I have in mind: I only draw people that I respect and love in the first place, and I have no intention at all to make fun of them or making them look ugly. It might be simply that I lack talent, but I don’t think that this is what the remarks are about. I think I put too much Frits in the drawings. If that is so, it is a rather painful problem for my career as a portrait artist. 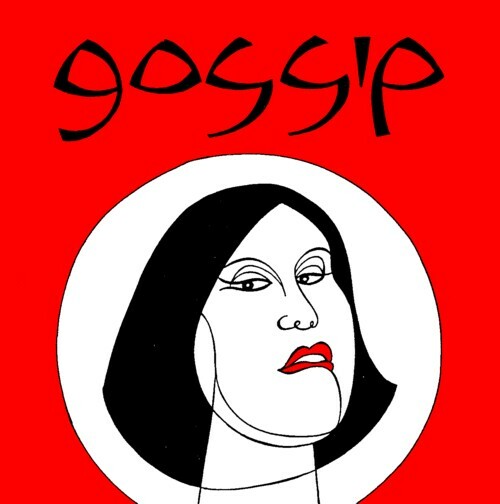 Beth Ditto is a great singer with much charisma, but the rest of the band is something special too. With only a drummer and a guitar player they built a sound that is amazing, both in impact and in variety. I have now seen and heard many hours of concerts and other recordings, but there was not one single recording that I didn’t like! I still wish for more! This song was their first song I heard from The Gossip. I still get goose bumps every time I hear that intro! And what a text! gebrek aan talent? Jij toch niet, hè! Trek je niets aan van wat mensen wèl of niet mooi vinden. Beauty is in the eye of the beholder. I was having a bad day. Thanks for the comments!